l'Université de Strasbourg is the best French university outside of Paris (Shanghai Index 2015). 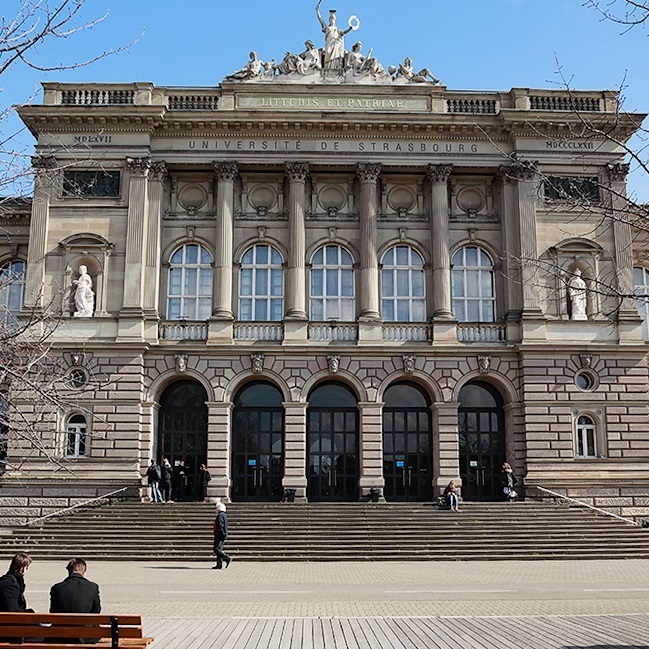 It has the largest number of international students of any French university, four Nobel Prize laureates on the faculty, and the only school of theology of any French national university. Strasbourg is most bikeable city in France and the fourth most bikeable city in the world (Copenhagen index). There are over 600km of lanes in the city and dozens of bicycle rental stations. The RC Strasbourg football team plays in League One. It is one of only six teams to win all three French national trophies. It won the Coupe de la Ligue four times, including in 2019. Strasbourg hosts more European political institutions than any other French city, including the Council of Europe, the European Parliament, the European Court of Human Rights and Pharmacopeia. Strasbourg has the most extensive tram network in France with over 72km of lines. With stops across the Rhine in Germany, it is one of the few international tram systems in the world.